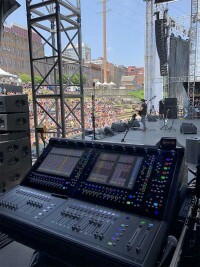 Nashville-based Morris Light & Sound supplied numerous DiGiCo desks for four of this year’s stages, including four SD12 (two for FOH and two for monitors) plus one SD11 production mixer at the Chevy Riverfront Stage, with all consoles connected via an Optocore fibre loop to two SD-Racks positioned on stage. This popular venue, located on the banks of the Cumberland River, hosted performances from reigning CMA “New Artist of the Year” Jon Pardi, Scotty McCreery, Lee Brice, LoCash, Frankie Ballard and dozens of others reinforced on two 16-element d&b audiotechnik J-Series line arrays and two 14-element V-Series outfill arrays. 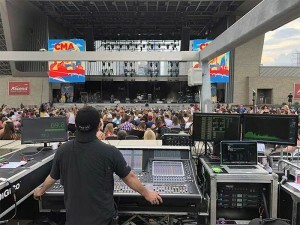 Morris also had a DiGiCo SD5 FOH console and SD12 monitor console in place at the Cracker Barrel Country Roads Stage at Ascend Amphitheater, which featured sets from Cole Swindell, Lindsay Ell, Craig Campbell, Morgan Evans, Maddie & Tae and more reinforced on a pair of 14-box d&b arrays. 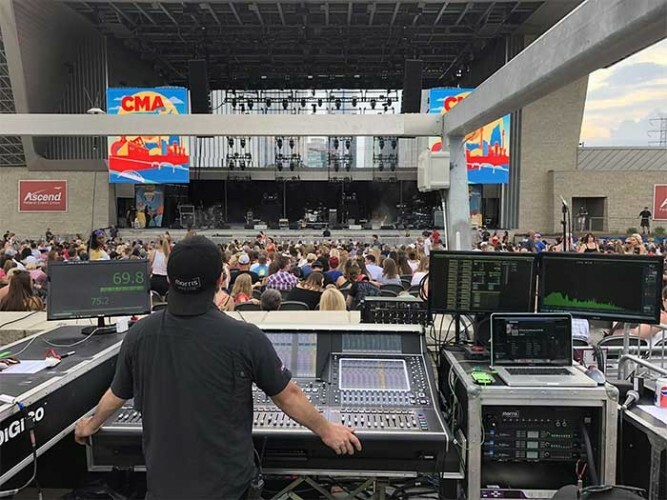 Three additional stages at Nashville’s Music City Center: Close Up, Spotlight and Radio Disney, featured musical sets and artist interviews mixed on Morris’ smaller DiGiCo S21 desks at both FOH and monitors. 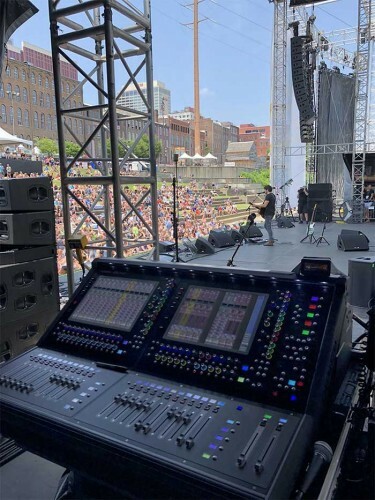 For the Maui Jim Broadway Stage at Hard Rock Cafe, fellow local production provider DCR Nashville deployed two DiGiCo S31 desks for FOH and monitors paired with a 16-element Meyer Mina PA. The desks were connected via two D2-Racks and utilised Waves DMI cards for native integration with Waves Sound Grid Extreme. On stage, DCR fed 32 outputs from the monitor desk into the monitor D2-Rack and ran seven wedge mixes with a cue wedge plus eight stereo IEM mixes.